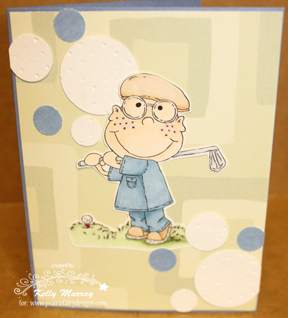 Golfer Lewis is the focal point of my card for Fairy Fun Fridays midweek reminder Spring Fling. I think the beret through me off and I was thinking of the Dr. Kinsley image, because I made Lewis look like a doctor that was golfing before his rounds. Needless to say the accents are circles, I ran the white ones through the Big Shot with the Swiss Dots embossing folder to give the circles a golf ball divot look. 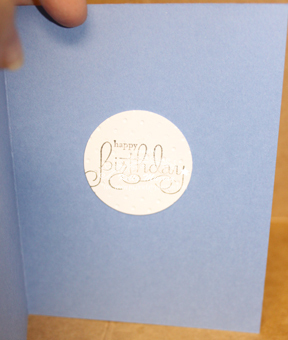 On the inside of my card, I stamped the greeting first and ran it through the same embossing folder. Check out Prairie Fairy Designs and find the perfect image for you to work with, heck who can stop at one! Enter the Fairy Fun Fridays challenge and get a chance at some freebies! Love your golf card! Thanks for playing along with us at Kaboodle Doodles this week. So cute! The circles are a perfect embellishment of symbolism on this card. I just love your golf card. :) Beautiful mixture of masculine colors as well. 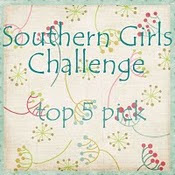 Thank you SO much for playing along with us at Karen’s Doodles for our challenge. Best of luck to you and we hope to see you again next time! Love this design with soft colors. The circles are a perfect details to this really cute golfer image. Love it! Kelly, that's really clever embossing the golf ball. I would never have thought about that. Fantastic card. Thank you ever so much for joining us here at Stamp 'n' Doodle. Super sweet card! 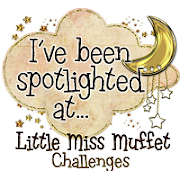 Thank you for joining us this week at the Paper Makeup Stamps Digi Makeover Challenge! Love how you've done the golf balls on the card and your coloring is just wonderful. Thanks for joining us at Karen's Doodles. great guy card, lovely colors!